A person who studies fish for a living is an ichthyologist. A gremlin who makes sinkers for a living is a depthologist. 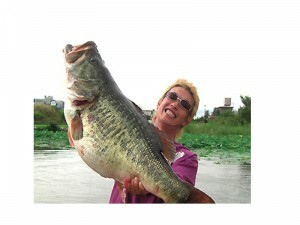 The 22-pound, 4-ounce world-record largemouth bass caught by George Perry in Georgia’s Montgomery Lake was unmatched from June 2, 1932 until Manabu Kurita caught an equally big largemouth on July 2, 2009 in Japan’s Lake Biwa. That’s a long-standing record by anyone’s measure. But one fish record has stood almost twice as long and remains unbroken—a 4-pound, 3-ounce IGFA all-tackle record yellow perch caught in New Jersey by Dr. C.C. Abbot in May 1865, 150 years ago!